The male species in my life are probably the most un-kept lot. Well, mostly. Say, my cousin, he couldn't care less about what his shirt looks like. For all I know, he will attend a wedding in cargo shorts, bindaas -_- And there are other variant species who are okay with a hoodie over everything. Like hoodie over suit. #BecauseYOLO. *sigh* Hence, its my responsibility to dress them up unless I want to end up with no cousin-in-laws *if that makes any sense?!*. Since a trip to Commercial street isn't really a pleasure with the said species, I always try and shop online for them. 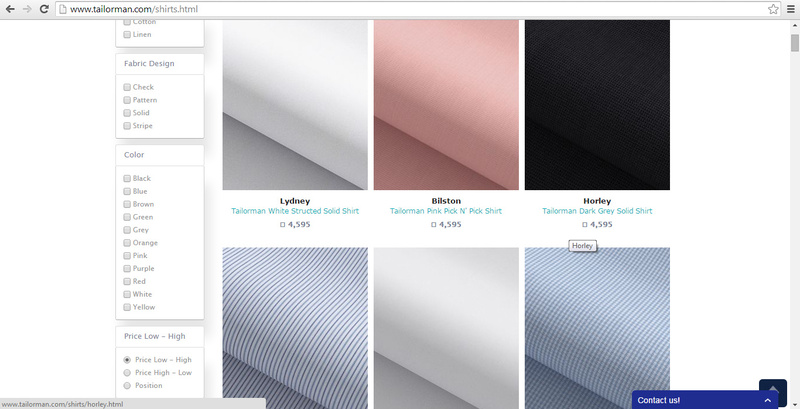 In the list of the websites I frequent, there is tailorman.com, a new addition. First off, I am sucker for catchy and quirky website names. 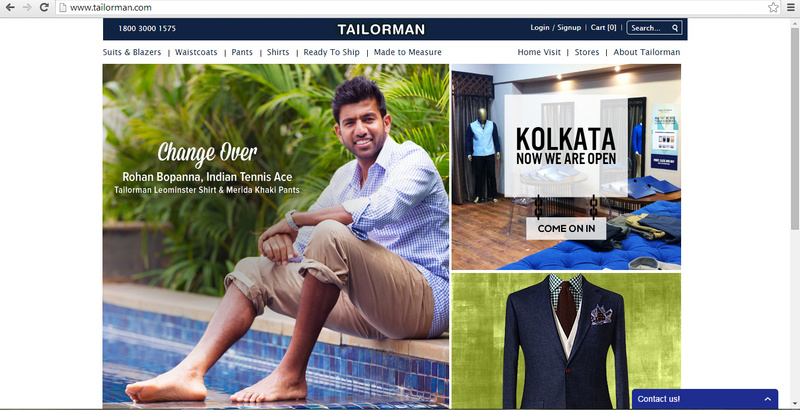 Tailorman.com? Come to mumma! Now, this portal has an interesting concept. You select the item you like, customize it the way you like it - play around with cuffs and lapels, you know, you get the drift. And then you give your measurement and tada! Giving your measurement ain't a hassle - if your fittings match the templates they already have, well and good. Otherwise, the Master Tailor will visit you and take measurements in the comfort of your home. As of now, as a launch offer, they are waiving off Rs.2000/-, the service fee for the same. Now that we know the fundamentals, lets see the collection okay? Waistcoats, anybody? Yes? Okay. There are fantastic prints in every section with elaborate description for every item. They have formal shirts, designer shirts, party wear and also accessories like ties. Let me let you in on a little secret ;) I have always had a thing for men in formals :D Even the most vella guy somehow, looks classy in formals, know? If you are looking for a place to give a little makeover, or gift the men in your life with fool proof products, this is the place to go to. I am sure you won't be disappointed. What more? The interface is clean and the images are crisp, the pricing is worth it and they have an efficient customer care. 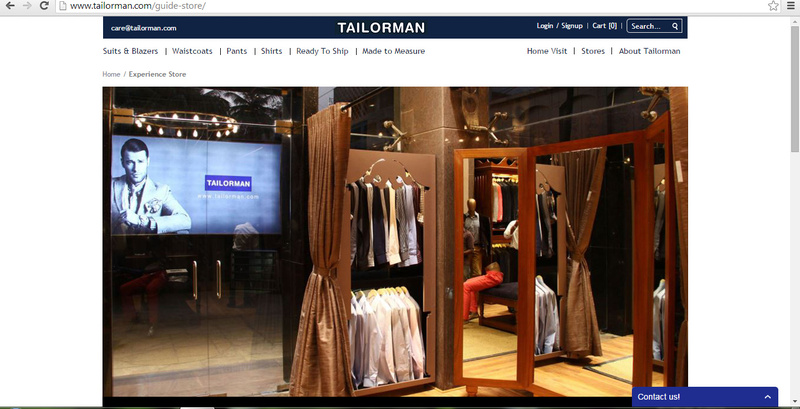 You can also visit them in their offline stores, the addresses of which are available on the website. 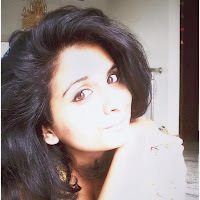 With Christmas and the new year around the corner *gasp*, you should check this website out.